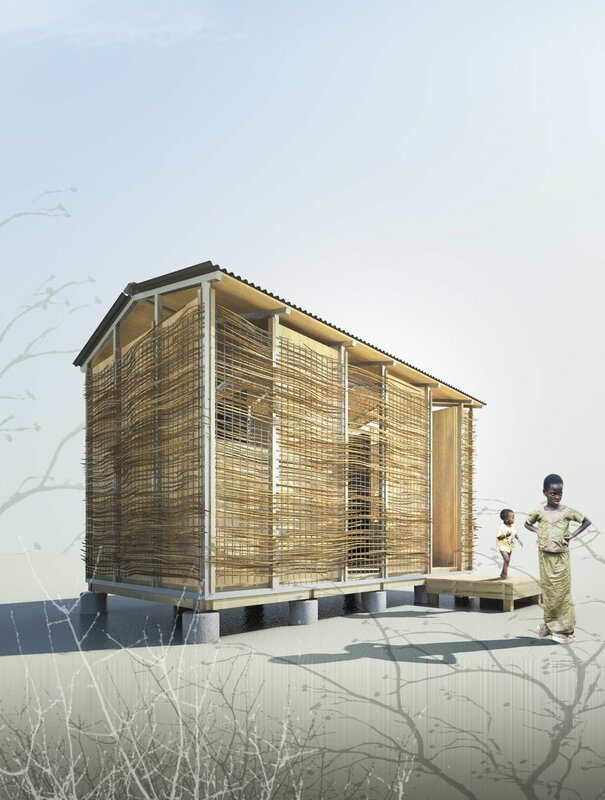 Spanning the course of 3 semesters, with approximately 20 students throughout, the main design goal for the project was to develop a working prototype for transitional shelter to fit the 6-month to 3-year life-cycle for post-disaster housing. While in our research and development phase, we received a modest grant through MICA that enabled a small group of students and myself to travel to Port-au-Prince, Haiti to see relief efforts ongoing, about 1 year after the massive earthquake that devastated the region. The experience was unforgettable. Our group learned so much about the problems and conditions that the various aid agencies face while trying to offer relief and services to the displaced population. We also learned quite a bit about the shortcomings of the current model for the typical transitional shelter. In addition, we could see quite a few experimental shelters that had merit and functional capacities that were worth considering. Upon returning to Baltimore, our group completed the design process, coming up with a design for the construction of the prototype. With the support and sponsorship from Whiting Turner, VersaTube and worldwideshelters.org, among others, we pooled enough money to acquire the necessary materials and begin construction. The design utilized a simple 2-inch square steel tube system (VersaTube) for structural integrity, sheathed with plywood sheathing for stability and security, and an outer skin to complement the native environment, whatever it may be. The floor was developed as two 4x8 pallets that could be used for shipping prior to assembly. The prototype took about 2 months to complete with minor modifications, then was disassembled and relocated off-site in 1 day – a sign that the design had some inherent flexibility that would allow its constant relocation, if needed. All in all, the project received quite a bit of recognition, with our efforts published three times on archdaily.org, a radio interview on The Signal (a Baltimore-based NPR program). To document the efforts, the group produced two full publications for the research and design phases.